The Teacher Academy is a two-year program in our satellite settings at Lebanon and Springboro. The program gives students an authentic look at becoming an educator. Beginning with classroom instruction on different learning styles and classroom methods, students will progress to working side by side with a teacher/mentor in the classroom. A significant component of the Teacher Academy is this mentorship, which will expose students to the process and techniques of teaching in different grade levels, subjects and specialty areas. In addition, they have the opportunity for short-term observation in the areas of administration, counseling and specialty teaching. The Teacher Academy Capstone Project is a professional portfolio, organized according to the PRAXIS III Domains of Teaching and includes extensive reflective writings and classroom artifacts that evidence a thorough understanding of pursuing a teaching career. The portfolio, combined with the internships, is the basis for college credit or advanced college standing. Wright State University, University of Cincinnati, and University of Dayton are some of the colleges that grant 3 or more college credits for the successful completion of the Teacher Academy. Students who earn an Associate’s degree at Sinclair Community College have an opportunity to complete a Bachelor of Science in Education degree at University of Dayton with a half-tuition scholarship, provided the student meet qualifications determined by UD. 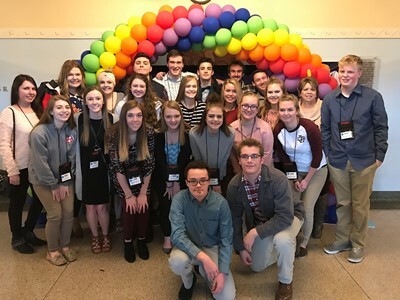 All students participate in Educators Rising Ohio, a career-technical student organization cultivating highly-skilled educators by guiding young people on a path to becoming accomplished teachers. All students also have the opportunity to participate in the Tech Prep Showcase through the Miami Valley Tech Prep Consortium. Contact Instructor Carla Kemp at Carla.Kemp@mywccc.org, Springboro satellite, or Lebanon satellite instructor Toni Crawford at Toni.Crawford@mywccc.org.